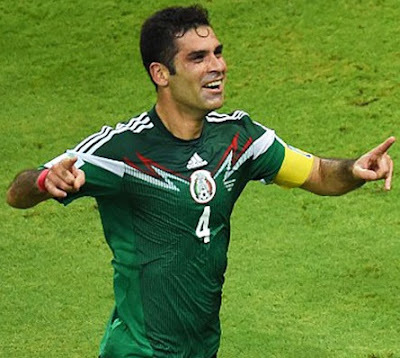 Rafael Marquez is the team’s captain and a legendary defender. 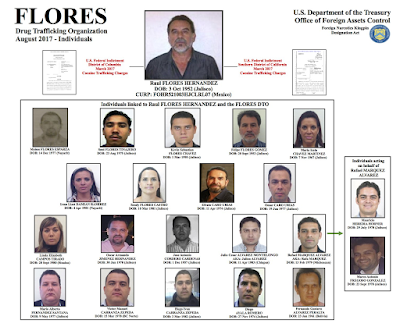 He was sanctioned by the U.S. Treasury Department last year for aiding a powerful Mexican drug trafficker. His bank accounts were frozen in the U.S. and Mexico and he was placed on a blacklist. The sanctions also bar him from playing in the United States. 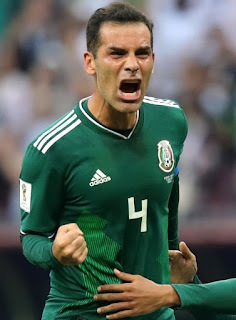 Known as Rafa, he has denied allegations that he and two associates used several businesses to hold assets for well known cartel leader Raul Flores Hernandez. Some say only in Mexico could a money launderer be on center stage. Supporters of Marquez say he has not been convicted of any crime — or even charged — and should not be prematurely penalized. 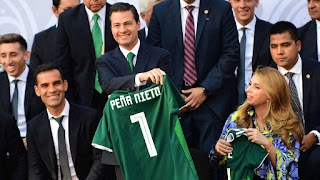 At a ceremony at Mexico’s presidential palace two weeks ago, Marquez presented a green World Cup jersey to President Enrique Peña Nieto — who himself has been accused of corruption.